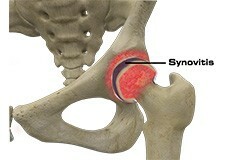 The hip joint is the junction where the hip joins the leg to the trunk of the body. It is comprised of two bones: the thigh bone or femur and the pelvis which is made up of three bones called ilium, ischium, and pubis. 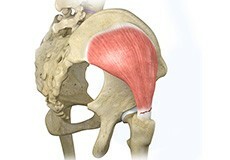 The ball of the hip joint is made by the femoral head while the socket is formed by the acetabulum. The Acetabulum is a deep, circular socket formed on the outer edge of the pelvis by the union of three bones: ilium, ischium and pubis. 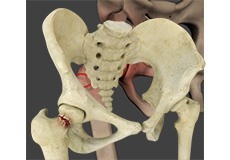 The lower part of the ilium is attached by the pubis while the ischium is considerably behind the pubis. 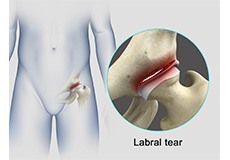 The stability of the hip is provided by the joint capsule or acetabulum and the muscles and ligaments which surround and support the hip joint. 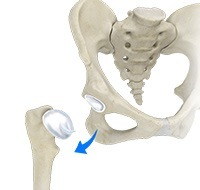 The femoral head and acetabulum rub against each other creating damage and pain to the hip joint. 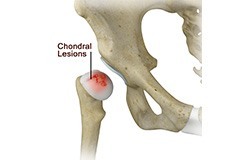 The damage can occur to the articular cartilage (the smooth white surface of the ball or socket) or the labral tissue (the lining of the edge of the socket) during normal movement of the hip. 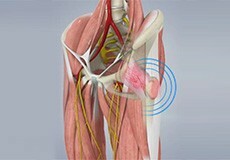 The articular cartilage or labral tissue can fray or tear after repeated friction. 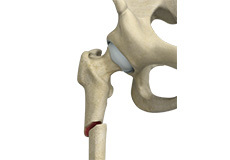 Hip fracture is a break that occurs near the hip in the upper part of the femur or thighbone. 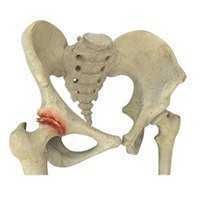 The thighbone has two bony processes on the upper part - the greater and lesser trochanters. 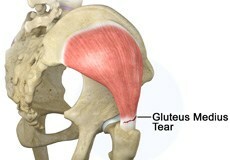 The gluteus medius is one of the major muscles of the hip and is essential for movement of the lower body and keeping the pelvis level during ambulation. 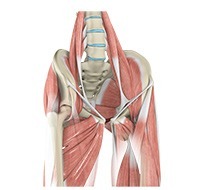 The gluteus medius muscle arises from the top of the pelvic bone and attaches to the outer side of the thighbone or femur at the greater trochanter by the gluteus medius tendon. 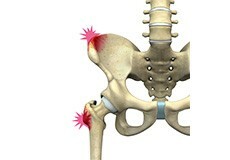 A hip fracture is a break that occurs near the hip in the upper part of the femur or thighbone. The thighbone has two bony processes on the upper part - the greater and lesser trochanters. The lesser trochanter projects from the base of the femoral neck on the back of the thighbone. 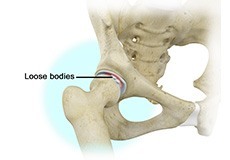 Hip fractures can occur either due to a break in the femoral neck, in the area between the greater and lesser trochanter or below the lesser trochanter. 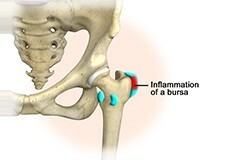 Developmental dysplasia of the hip (DDH) or Hip dysplasia is a condition which is seen in infants and young children because of developmental problems in the hip joint. 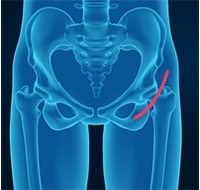 The femur (thighbone) partially or completely slips out of the hip socket causing dislocation at the hip joint. 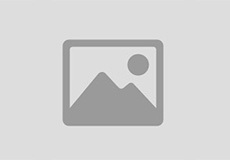 It is most common in first born baby with family history of the disorder. Hip replacement surgery is the most common orthopedic surgery performed. 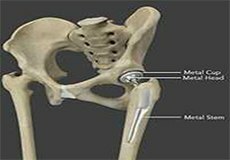 It involves the replacement of the damaged hip bone (ball shaped upper end of the femur) with a metal ball attached to a metal stem that is fixed into the femur and attached to the pelvic region. Traditionally, the surgery was performed with a large, open incision and required the patient to stay in the hospital for several days. 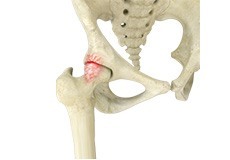 The hip joint is a ball and socket joint, where the head of the thighbone (femur) articulates with the cavity (acetabulum) of the pelvic bone. 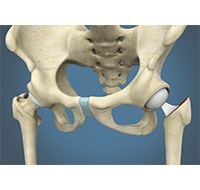 Hip implants are artificial devices that form the essential parts of the hip joint during a hip replacement surgery. 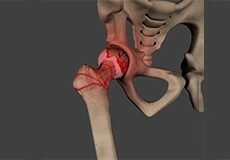 The hip implants vary by size, shape, and material. 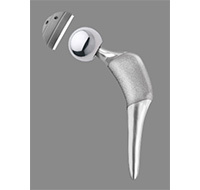 Various components of a hip implant may be used for a hip replacement surgery. 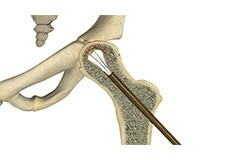 The components used may depend on the extent of damage to the hip joint, and the preference of the orthopaedic surgeon performing the procedure. 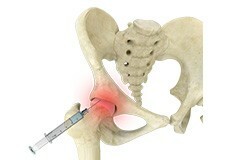 Planning for your hip surgery prepares you for the operation and helps to ensure a smooth surgery and easier recovery. Here are certain pre-operative and Postoperative guidelines which will help you prepare for hip surgery. 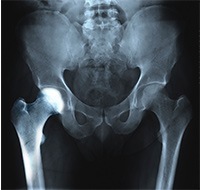 Hip fractures refer to any kind of breakage or damage in the thighbone (femur). 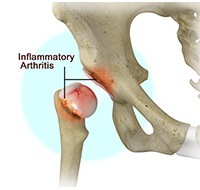 People over the age of 65, especially women, are highly vulnerable to hip fractures. You will require assistance after hip fractures from family members as well as health professionals and may also be required to be admitted to the hospital for further assistance. 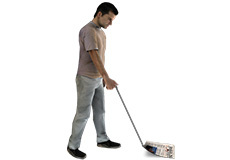 Hip fractures can be caused due to weak bones (osteoporosis) or from a fall.